A study appearing in the Journal of Nutritional Biochemistry demonstrates that grapes are able to reduce heart failure associated with chronic high blood pressure (hypertension) by increasing the activity of several genes responsible for antioxidant defense in the heart tissue. Grapes are a known natural source of antioxidants and other polyphenols, which researchers believe to be responsible for the beneficial effects observed with grape consumption. This study, funded by a grant from the National Institutes of Health (NIH), and conducted at the University of Michigan Health System, uncovered a novel way that grapes exert beneficial effects in the heart: influencing gene activities and metabolic pathways that improve the levels of glutathione, the most abundant cellular antioxidant in the heart. An estimated 1 billion people worldwide have hypertension, which increases the risk of heart failure by 2 to 3-fold. Heart failure resulting from chronic hypertension can result in an enlarged heart muscle that becomes thick and rigid (fibrosis), and unable to fill with blood properly (diastolic dysfunction) or pump blood effectively. Oxidative stress is strongly correlated with heart failure, and deficiency of glutathione is regularly observed in both human and animal models of heart failure. Antioxidant-rich diets, containing lots of fruits and vegetables, consistently correlate with reduced hypertension. In this study, conducted at the University of Michigan Health System, hypertensive, heart failure-prone rats were fed a grape-enriched diet for 18 weeks. The results reproduced earlier findings that grape consumption reduced the occurrence of heart muscle enlargement and fibrosis, and improved the diastolic function of the heart. 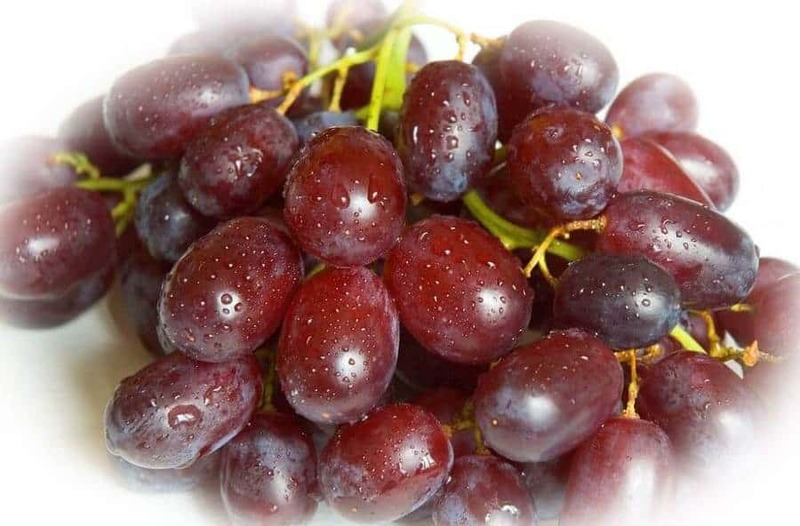 Furthermore, the mechanism of action was uncovered: grape intake “turned on” antioxidant defense pathways, increasing the activity of related genes that boost production of glutathione. Seymour noted that the next phase of the NIH study, which will continue into 2014, will allow his team to further define the mechanisms of grape action, and also look at the impact of whole grape intake compared to individual grape phytonutrients on hypertension-associated heart failure. The insights gained from this research will further the knowledge on grapes and heart health, but will also provide translational information on the value of dietary (whole foods) and dietary supplement approaches for prevention of heart disease stemming from chronic hypertension.